Are you ready for the best sports season of the year? Well I think its the best sport next to NASCAR. That is football. We have been a football family for as long as I can remember. My dad coached PAL Football when I was a tween, my brothers played for his team and I was even a cheerleader. Yes that’s right I was a cheerleader. I loved it but that’s not what I am bringing you today! Today I have some delicious, easy and fun game day goodies. Not just food today either. 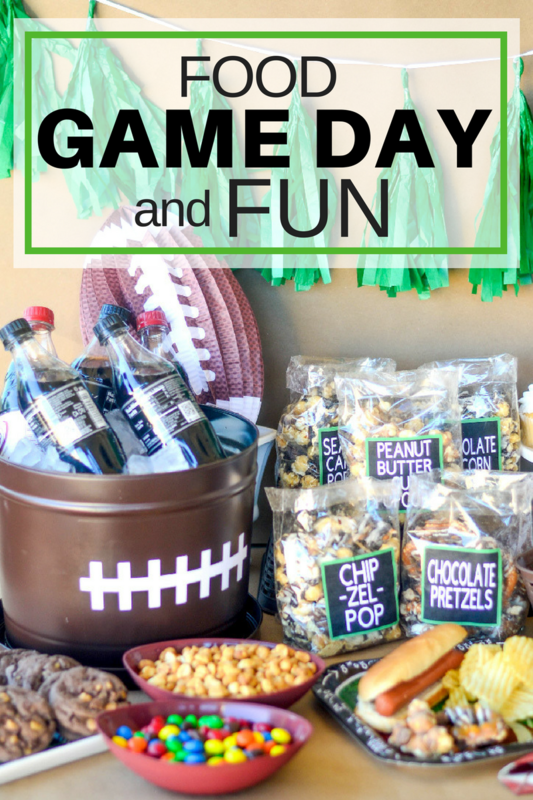 I have an easy DIY project to make this Game Day Food and Fun easy and cute. Lets chat about game day eats first. I love an easy to prepare get together and what could be easier than Funky Chunky popcorn treats? 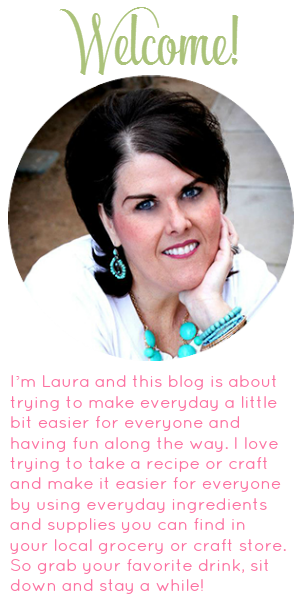 I was so excited when the good people at Funky Chunky asked me to share how delicious their treats are with you. I was sent this delicious Halftime Crowd Pleaser Gift Tin. It has 5 different flavors of treats in it. So fun, It features five fan favorite flavors: Chocolate Popcorn, Chocolate Pretzels, Peanut Butter Cup Popcorn, Sea Salt Caramel Popcorn and Chip-Zel-Pop. It arrived in a cute white tin. I liked that, it ensured my treats would not be crushed in shipping. 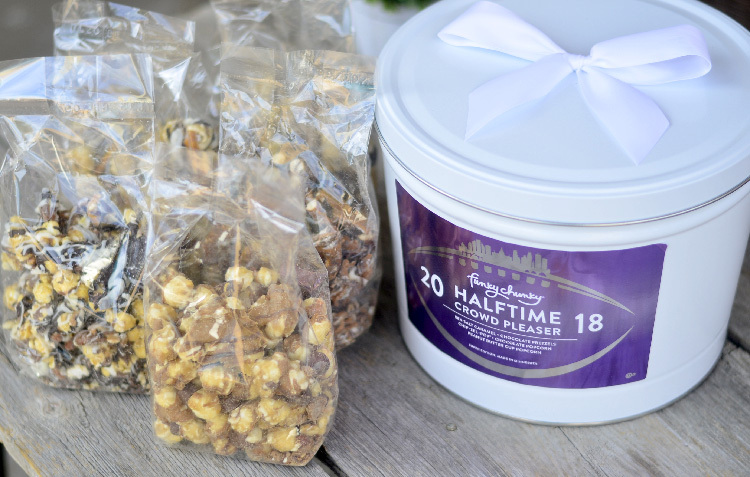 The Halftime Crowd Pleaser Gift tin is a limited offer only available through February 4th so get it now! Now my little brain got to thinking about that white tin. What to do with it? Honestly at first I was just going to put it in the garage not really knowing what to do with it, but I was laying in bed one morning and it came to me. Use in for a drink cooler. Make it look like a football. How perfect is that? I purchased a can of brown spray paint and went to town. To make the laces on the tin I used my Cricut Maker and cut out white vinyl and put them on the front. How easy is that? And cute! 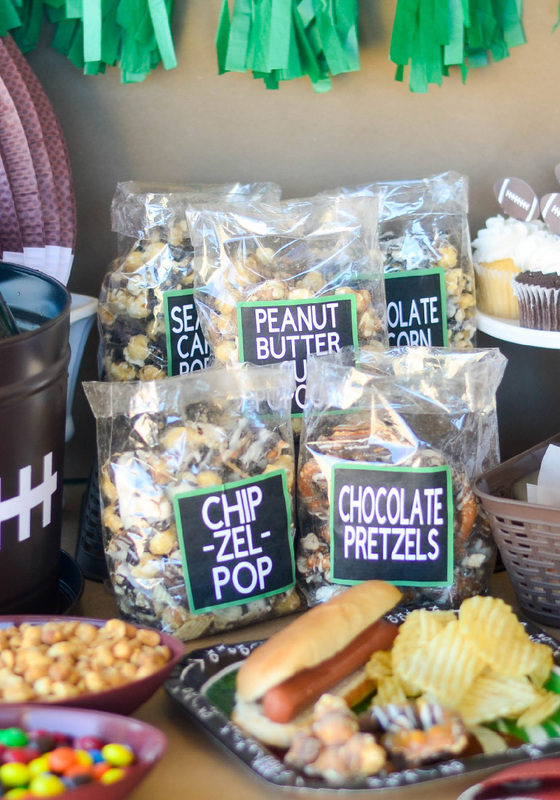 I set up my little Game Day Food and Fun station and just let my guests help themselves. 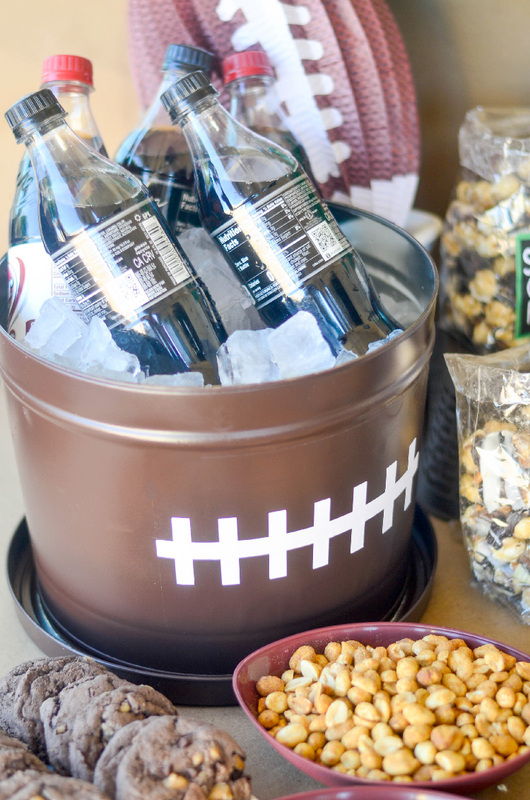 I filled the “Football Drink Cooler” with ice and drinks, took the Funky Chunky goodies and simply cut the tops off the cellophane bags rolled down the tops and used those as serving bowls. Placed a few more goodies on the table and I was done. Easy, Simple and yummy. I really wanted this to be easy so I hit the dollar store for my plates and napkins. Grabbed a few cute decor pieces there too. This whole Game Day Food and Fun could not have been easier. Kids and adults were pleased with the outcome and so was I. 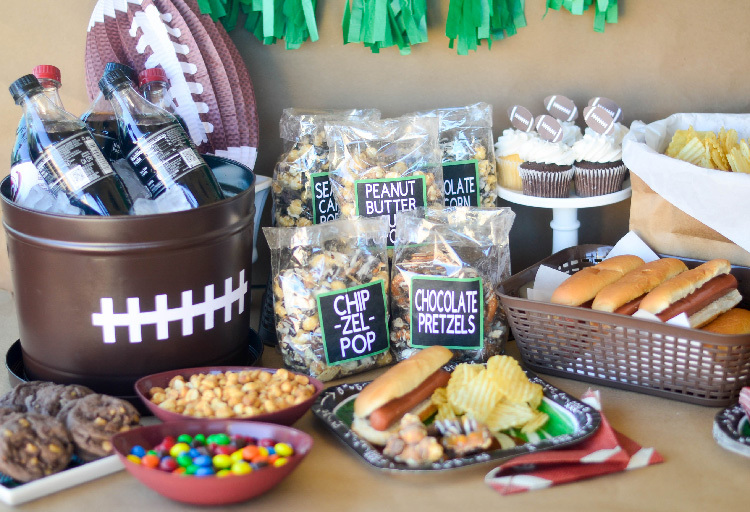 So my tips for you when hosting a Game Day gathering is to keep it simple, let someone else make some of the treats, have a plan, and use paper products to reduce clean up. If your looking for more Game Day fun I have a FREE downloadable shopping list HERE!